One of the cameras in our weather camera network captured a Hurricane Florence time-lapse. The below video shows the views from our weather camera in Wilmington, North Carolina. The video begins on September 14, 2018 when Florence made landfall. The video then continues through the morning of September 17 when the sun finally rose again over North Carolina. 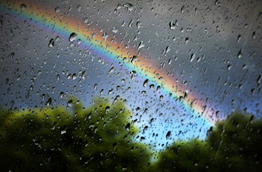 Here at Earth Networks, we have our own weather, lightning, and camera networks to help up track and visualize weather. These networks help us make decision-makers in industries like media and entertainment, education, and emergency management make the right weather-related decisions when severe weather approaches. Besides making a huge different to decision-makers, we’ve also provided key visuals to weather broadcasters and stations all around the country. Our weather camera network offers clear, live videos that broadcasters can access during hurricanes, tornadoes, and other events. Broadcasters in the Mid-Atlantic often use the featured Wilmington camera during their weather forecasts or as a live background visual for other news segments. You can learn more about our weather and camera networks and how you can utilize them in your broadcasts by clicking the link below. 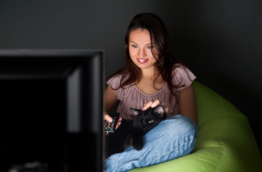 That way, the next time a hurricane threatens your area you can show viewers live conditions without using a storm chasing unit or other expensive video equipment. Hurricane Florence was the first major hurricane of the 2018 Atlantic Hurricane Season, but it had to start somewhere. Hurricane Florence began as a tropical wave over Western Africa on August 28, 2018. 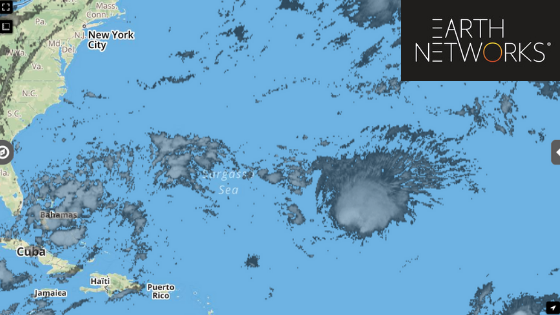 The National Hurricane Center (NHC) began issuing advisories on the system as a Potential Tropical Cyclone Six two days later. Toward the end of the day on August 31, convective organization became sufficient for the NHC to mark the formation of Tropical Depression Six. By the first day of September, the NHC named the system Florence as pronounced banding features and further development became apparent. On September 2, 2018, Florence achieved maximum sustained winds of 60 mph, but different conditions caused a fluctuation in strength into September 3, 2018. Development of a small central dense overcast and a mid-level eye feature signified that Florence achieved hurricane strength early on September 4, 2018. This occurred nearly 1,240 miles west-northwest of the Cape Verde Islands. The system unexpectedly and rapidly organized, and the storm grew to a very large size. This caught forecasters off-guard as the intensification was greater than model outputs. 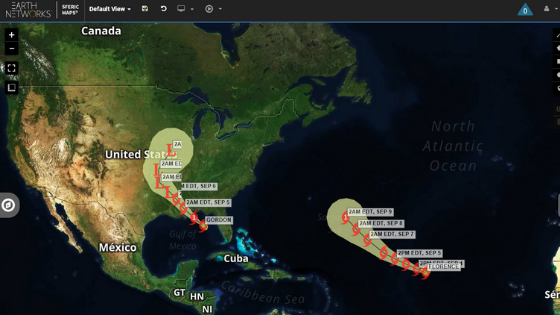 Florence was suddenly a major hurricane on September 5, 2018. Sustained winds rose to 130 mph and its pressure fell to 953 mb. That’s about 28.14 inches of mercury. This ranked Florence as a Category 4 hurricane on the Saffir-Simpson hurricane wind scale. Florence’s position made it the northernmost Category 4 hurricane east of 50 degrees W.
As Florence continued to move north, persistent shear took its toll. On September 6 through 7, Florence’s structure degraded. 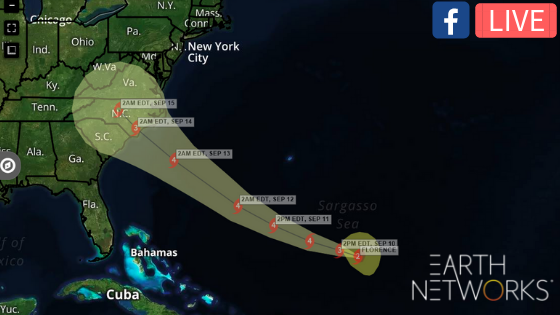 Florence lost its hurricane status and became a tropical storm once again. This was around the same time forecast models became more certain that Florence would make landfall in the United States. Florence wasn’t going down without a fight. Environmental conditions became increasingly conductive to reorganization on September 8. A complete eyewall developed within Florence’s core and it regained hurricane status on September 9. Florence rapidly intensified overnight and became a Category 4 again by September 10, 2018. Later that day, Hurricane Florence reached its peak intensity with 1-minute sustained winds of 140 mph. It also had a minimum central pressure of 939 mb. That’s 27.73 inches of mercury. From September 11 to September 12, 2018, fluctuations in the organization of Florence degraded the system to a Category 3. Hurricane Florence then began to slow as it began to turn northwest towards the Carolina border. 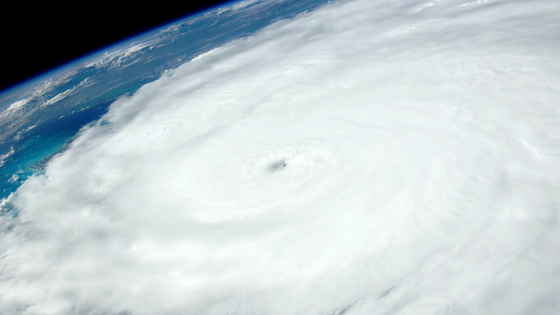 Florence made landfall just south of Wrightsville Beach, North Carolina, as a Category 1 hurricane around 7:15 am EDT on September 14, 2018. It had maximum sustained winds of 90 mph. Its central pressure was 958 mb, which is 28.3 inches of mercury. Although the hurricane began a weakening trend after making landfall, it slowed down. This stalling helped Florence drop extremely heavy rain over the affected area. On September 17, Florence slowly turned to the northeast, while continuing to weaken. The next day, the remnants of Florence emerged off the New England Coast before being absorbed into a frontal system over the North Atlantic on September 19. Although it made landfall as a Category 1 storm, Hurricane Florence still dealt a heavy blow to the Carolinas and the surrounding areas. Before Florence even made landfall it was already making things dangerous for people on the coast. Ahead of the hurricane, large swells closed beaches in Maryland and caused 27 lifeguard rescues at Wrightsville Beach, North Carolina between September 8 and 9. Storm surge began to be a problem on September 13 for areas like New Bern and Oriental North Carolina. In South Carolina, storm surge was an issue in Myrtle Beach. 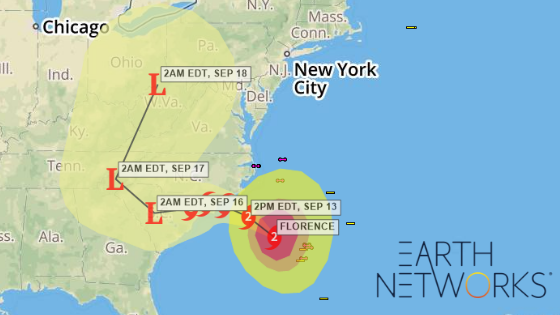 Florence made landfall in morning hours of September 14, 2018. By mid-morning, rescuers had already evacuated more than 200 people from floodwaters. At that time, an additional 150 people were still awaiting rescue. The storm reportedly cut power to more than 500,000 customers in North and South Carolina by the time of landfall. One of the most devastating impacts of Florence was the rain. Some of our weather stations recorded over 30 inches of rain in North Carolina and nearly 20 inches of rain in South Carolina. By the morning of September 16, Wilmington had recorded more rain from Florence than any other single weather event in the city’s history. It rained so much in Wilmington that the city became entirely isolated. All roads to the city were flooded. More than 450 people required rescue throughout Wilmington. More than 1,500 roads closed due to flooding. This included large sections of interstates 40 and 95. A week later, some of these roads are still flooded. The death toll from both direct and indirect fatalities due to Florence currently sits at 40. They are spread out between Florida, North Carolina, South Carolina, and Virginia. North Carolina has the most deaths with 27. South Carolina lost nine people. Florida and Virginia both lost two people each. The deaths in Florida happened as a result of rip currents. One of the deaths in Virginia happened when a tornado tore through Chesterfield County.